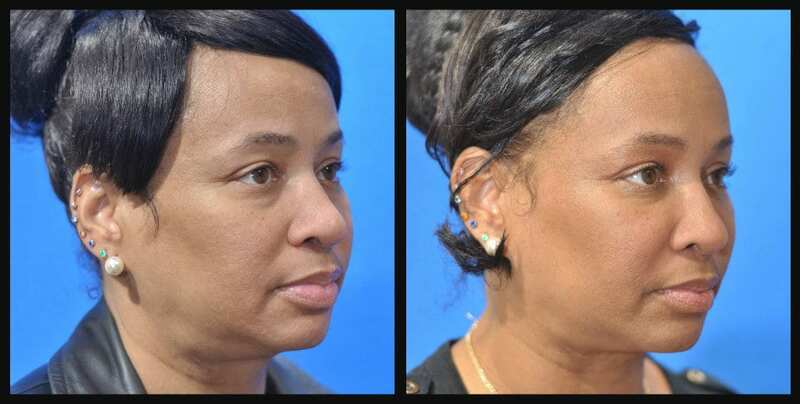 For residents of Baltimore and throughout Maryland, facial non-surgical rejuvenation options are more numerous and more effective than ever before. Non-surgical treatments make sense for so many people who recognize that their faces are aging, but just want to achieve a natural and refresh appearance without any downtime required by a surgical procedure. Let’s first understand how the face ages. Aging is caused by time and environmental conditions that work together to wear down and damage the skin, stealing its smoothness and luster creating the sagging and laxity of the face. Dr. Dean and Lauri Kane are deeply dedicated to providing facial and skin rejuvenation treatments for people of all ethnicities to help all his patients with the effects of aging. They have steadily built a diverse clientele consisting of patients of African American, Asian, Hispanic, Hispanic, Middle Eastern and White European heritage for men and women by offering treatments and procedures that can benefit any skin tone and texture to help the aging face. To be able to adequately rejuvenate the aging face, Dr. Dean Kane first addresses the entire issues that cause people to look tired and sagging. When the face ages, the facial outer skin gets lax, saggy and often dull with age spots, brown pigmentation and tiny red capillaries. This skin laxity causes the eyebrows to fall, leaving droopy eyelids or heavy hooding on the upper eyelids. The lower eyelids can develop three types of problems such as hollowness, bagginess and wrinkling. 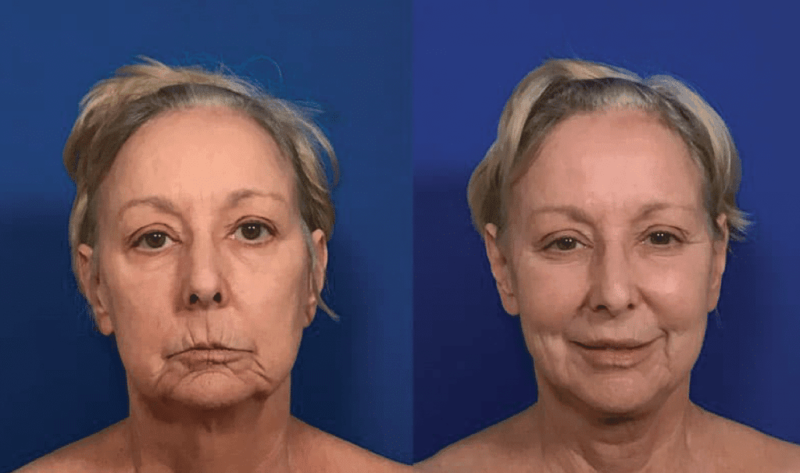 At the same time the fat and collagen of the face diminishes and the upper cheeks flatten and folding occurs in the nasal folds and jowling along the jaw line. One more insult of aging is the thickening of the muscles around the face leaving deep creases in the forehead, crows feet and lipstick lines or smoker lines around the lips and mouth. With the lack of fat and collagen, the muscles of the face and brow thicken causing wrinkling and skin laxity, the face shows signs of aging. To counteract all these aging factors, Dr. Dean Kane addresses all these specific aging problems with his Signature Liquid Facelift to provide a total non-surgical facial rejuvenation without surgery at his Baltimore Center for Cosmetic Surgery and Medi-Spa. Dr. Kane recognizes that patients don’t want incisions and scars on their faces to rejuvenate their aging face. He created the liquid facelift to achieve plumping, filling and firming of the sagging skin tissues. The use of injectables allows patients an instant result with little to no downtime. The use of Botox, Dysport, Fillers like Restylane, Restylane Lyft, Juvederm, Voluma, Radiesse and Sculptra are all being used to create the Liquid Facelift. These injectables have soared to popularity due to their effective ability to revitalize the face without surgery, without scars and requiring minimally downtime with instant gratification. Maryland men and women can reclaim a youthful appearance. These injectables along with our Medi-Spa Treatments that include: Our Obagi ZO Skin Health Program with facials, chemical peels, laser rejuvenation and laser hair removal, help our Baltimore and Maryland patients feel better by looking better. Dr. Dean Kane’s Baltimore, Maryland Center for Cosmetic Surgery & MediSpa, is proud to offer a comprehensive selection of facial rejuvenation treatments. Request an appointment today to learn more about all these truly effective treatments that not only combat the effects of aging, but reverses them and provides a complete facial rejuvenation without surgery. What if I want something more than Fillers and Botox? Dr. Kane recognizes that patients who have used fillers and Botox for years are now ready for the next level in rejuvenation, but at the same time not wanting a surgical lift. Dr. Kane now offers the newest miminally invasive face and neck options with EuroThreads and ThermiTight. What are the newest in Non-Surgical Face and Neck Lift Options? EuroThreads with PDO and PLLA Sutures and ThermiTight RadioFrequency Energy are the newest in minimally-invasive options that do not require any incisions or scars on the face with limited downtime. The revolutionary Eurothreads with PDO and PLLA are absorbable sutures that are injected with a just a needle that can lift, smooth and volumize all areas of the face and neck as well as the body. ThermiTight RadioFrequency uses laser like energy to tighten and firm the skin. While the two procedures perform very different functions they work very well together and are the perfect duo. They both have controlled inflammation which stimulates collagen and elastin that reverses the aging effects producing tightening, firming lifting and plumping. Read more here about both procedures. When you’re ready to find out how to revitalize the way you look and feel with non-surgical facial rejuvenation treatments give us a call at 410.602.3322 and speak with Lauri Kane or email Lauri@DrDeanKane.com. She can answer many of your questions and help you get started on the road to the right plan for you. Our Center for Cosmetic Surgery and MediSpa is located on 1 Reservoir Circle in Baltimore just off the I-695 beltway exist 20 Reisterstown Road. We see patients from greater Baltimore and Annapolis, and from Delaware and southern Pennsylvania and the eastern shore. Request an appointment with us today.